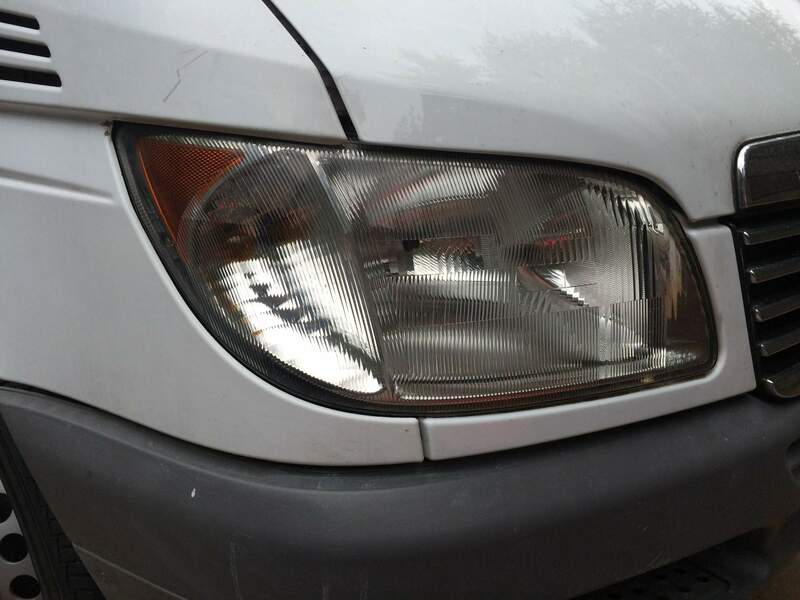 Does your Sprinter also have hazy, yellowish headlights? Mine did and I finally tried to restore them with one of the products you can find in any automotive store. I bought a kit from 3M that included everything you need to restore the headlights: a drill mounting plate for sanding disks, polishing compound and a protectant for the final result. The process is easy and straightforward. You start with protecting the sheet metal by covering the area next to the headlights with two layers of tape (or simply remove the whole headlight assembly). The next step includes using the drill and the sanding disks to start removing the yellow top layer of your headlight lens. The kit includes six sanding disks for the first round (three for each headlight) which basically removes a fine layer of plastic from the headlight lens and the result is a white hazy lens. The second pass you’re going with four finer sanding disks. With the third pass of sanding you start using water and an even finer sanding pad. The last step is polishing out the lens with a foam polishing pad and a special compound and a quick wipe with protectant fluid that keeps the lens from turning yellow again. The result of about 45 minutes of sanding and polishing are two headlights that look like new. 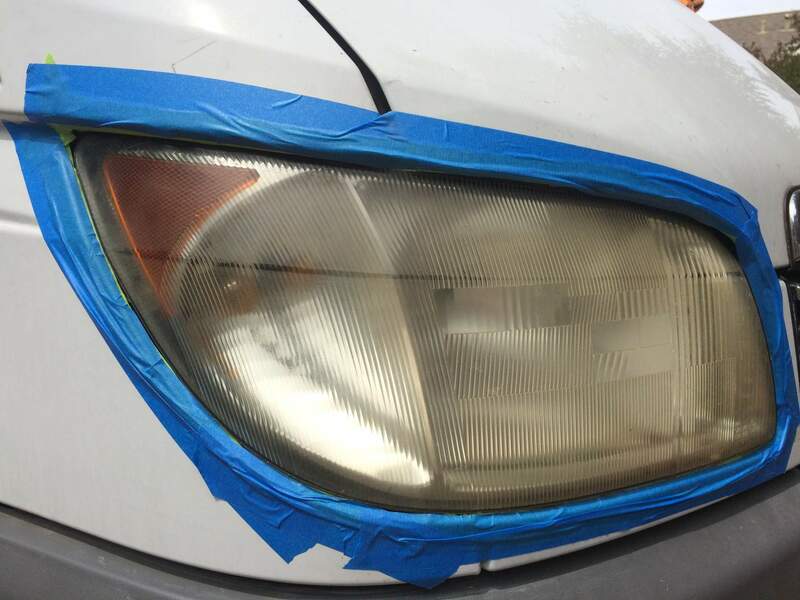 Headlights restoration kit. I’m happy with the results of the 3M kit – on eBay or Amazon.